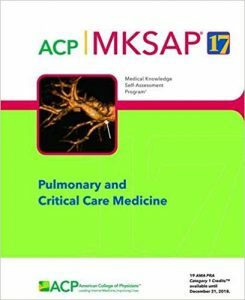 Management of the intensive care patient afflicted by respiratory insufficiency requires knowledge of the pathophysiological basis for altered functions. The etiology and therapy of pulmonary diseases, such as acute respiratory distress syndrome (ARDS) and chronic obstructive pulmonary disease (COPD) are highly complex. 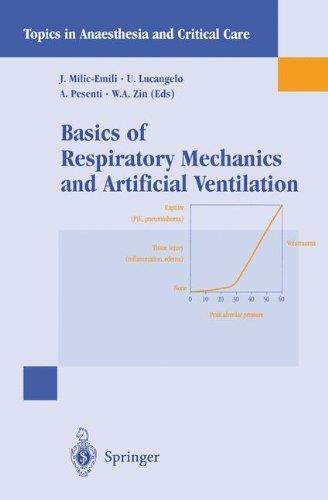 While physiologists and pathophysiologists work prevalently with theoretical modes, clinicians employ sophisticated ventilation support technologies in the attempt to understand the pathophysiological mechanisms of the pulmonary diseases which can present with varying grades of severity. Despite the availability of advanced technologies it is common to personalize the treatment protocol according to the patient’s physiologic structure.Given the complexity and difficulties of treating respiratory disease, a strong collaboration between clinicians and physiologists is of fundamtental importance. 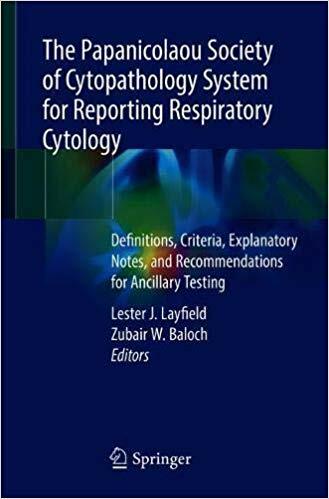 This text presents comprehensive review of the recommendations of the Papanicolaou Society of Cytopathology for reporting results of respiratory cytology specimens along with advances in diagnostic, prognostic, and predictive immunohistochemical and molecular techniques which can be performed on cytology specimens.The majority of the text focuses on the standardized terminology and nomenclature for respiratory cytology as recommended by the Papanicolaou Society of Cytopathology. Each of the diagnostic categories are described in depth and formal definitions for each category are given along with cytologic criteria. Explanatory notes are given discussing limitations of the category as well as its malignancy risk and reproducibility. Management recommendations are supplied for each category. Sample reports documenting the preferred reporting format are also given. Each category is associated with a reference list establishing the evidence based nature of the categories. An in depth discussion of ancillary testing is provided, including the utilization of microbiologic culture, immunohistochemistry, and molecular techniques. Substantial emphasis is placed on molecular diagnostics necessary for optimization of personalized testing and the appropriate use of targeted therapies. 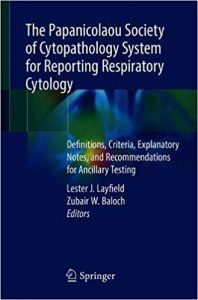 The text represents a comprehensive resource for the state of the science of the cytologic diagnosis of respiratory lesions. 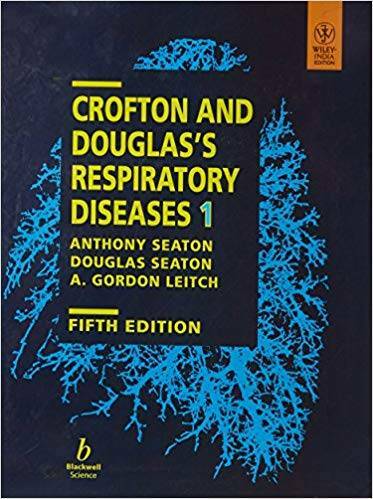 Now in its Fifth Edition, Crofton and Douglas’s Respiratory Diseases has firmly established itself as the leading clinical textbook on diseases of the chest. Presented, for the first time, as a two-volume set, this classic text has been completely rewritten and greatly expanded. Extensive revisions ensure that these volumes present an up-to-date review of all aspects of lung disease. 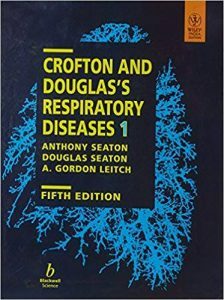 The contributions of some 18 leading authorities ensure that each area is comprehensively covered and new to this edition are chapters on the genetics of lung disease, smoking, air pollution, sleep apnoea, diving, lung transplantation and medico-legal aspects. The changes in content reflect the pace of change in the areas concerned not only in terms of understanding of the disease processes but also their treatment. 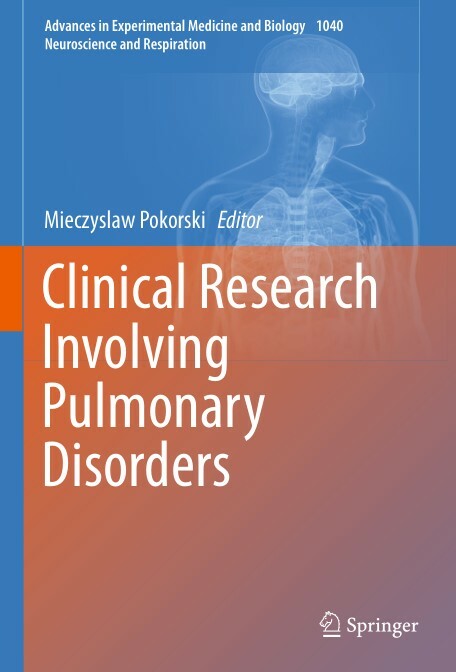 The single chapter on asthma that appeared in previous editions, has now been expanded into three chapters covering epidemiology, mechanisms and management, reflecting the enormous research effort currently underway following a marked increase in the incidence of this disease in recent years. 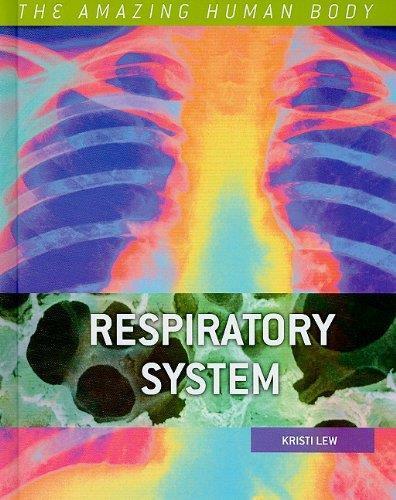 This new edition continues to provide an excellent reference both for the trainee and specialist in respiratory medicine, as well as the general physician. It will be extremely useful on the ward and in the office, where clinical problems arise and questions are asked which need clear answers. 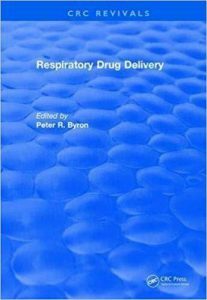 The focus of this book is on subjects related to drug delivery to the lung. 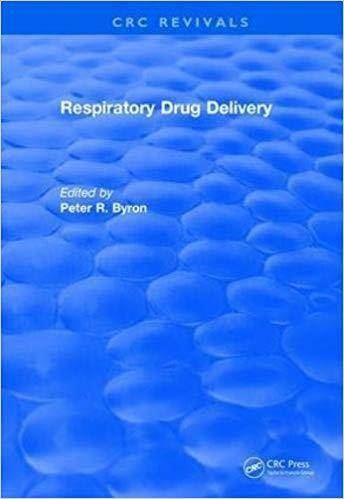 The text spans topics from aerosol deposition through pharmaceutical chemistry and formulation to the final clinical evaluation of pharmaceutical products. Utilizing a multi-disciplinary approach, the chapters consider toxicology from the point of view of drugs and pharmaceutical excipients used in aerosols. In the UK and beyond, Down’s syndrome screening has become a universal programme in prenatal care. But why does screening persist, particularly in light of research that highlights pregnant women’s ambivalent and problematic experiences with it? Drawing on an ethnography of Down’s syndrome screening in two UK clinics, Thomas explores how and why we are so invested in this practice and what effects this has on those involved. Informed by theoretical approaches that privilege the mundane and micro practices, discourses, materials, and rituals of everyday life, Down’s Syndrome Screening and Reproductive Politics describes the banal world of the clinic and, in particular, the professionals contained within it who are responsible for delivering this programme. In so doing, it illustrates how Down’s syndrome screening is ‘downgraded’ and subsequently stabilised as a ‘routine’ part of a pregnancy. Further, the book captures how this routinisation is deepened by a systematic, but subtle, framing of Down’s syndrome as a negative pregnancy outcome. 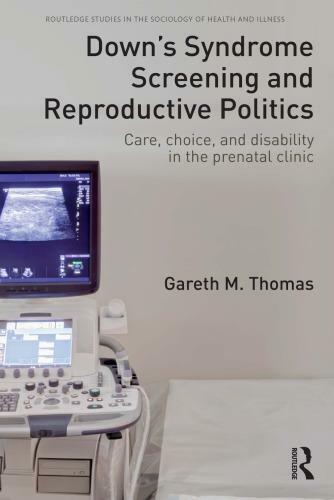 By unpacking the complex relationships between professionals, parents, technology, policy, and clinical practice, Thomas identifies how and why screening is successfully routinised and how it is embroiled in both new and familiar debates surrounding pregnancy, ethics, choice, diagnosis, care, disability, and parenthood. The book will appeal to academics, students, and professionals interested in medical sociology, medical anthropology, science and technology studies (STS), bioethics, genetics, and/or disability studies. 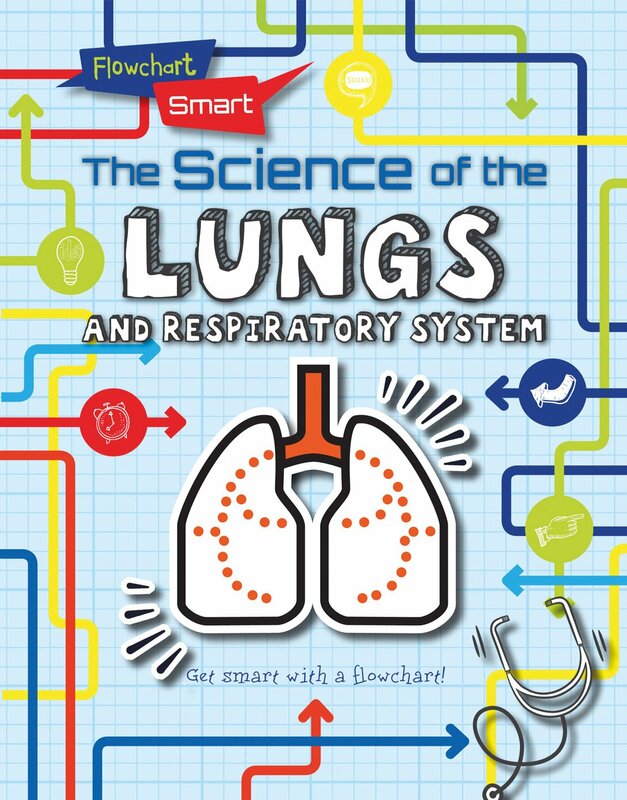 Then most people think of the respiratory system, they naturally focus on the lungs and breathing. Indeed, breathing is a necessary function of a healthy body. Without the lungs taking in air, the cells of the body could not operate properly. However, the lungs are only one part of the respiratory system. 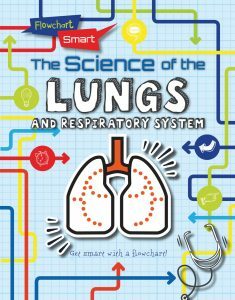 The respiratory system also includes the nose, mouth, pharynx, larynx (voice box), trachea (windpipe), bronchi, alveoli, and diaphragm. 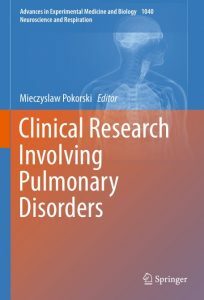 This book presents the current trends and state of the art solutions addressing various issues related to pulmonary disorders. Diagnostic and therapeutic challenges are tackled, starting with the noncommunicable diseases of sarcoidosis and granulomatosis with polyangiitis. Pulmonary involvement, practically unavoidable, runs an insidious course, and is often occulted by systemic symptoms. The establishment of a firm diagnosis, with a precision no one could oppugn, is difficult. Other issues pertain to quality of life, disease preventive measures, and the move toward personal health care in chronic sufferers from multiple conditions in later life. There is also an update on the prevalence and diagnostic and treatment challenges of extrapulmonary tuberculosis. In addition, the place of neuroproteomics in modern clinical practice is presented. The practical insights emphasize the role of science in advancing biomedical knowledge and care. The book is addressed to researchers and practitioners, and allied health care professionals engaged in effective patient care and therapy. Reflux is an important factor in many different lung diseases and its manifestations are under recognised. The pathological basis of reflux has recently undergone major changes and clinicians’ understanding has improved with diagnostic technology. This book aims to educate and inform professionals of these latest developments and give practical advice to their application in the clinical setting. It contains contributions written by world experts discussing their latest research, ideas and future directions in this fast moving area. 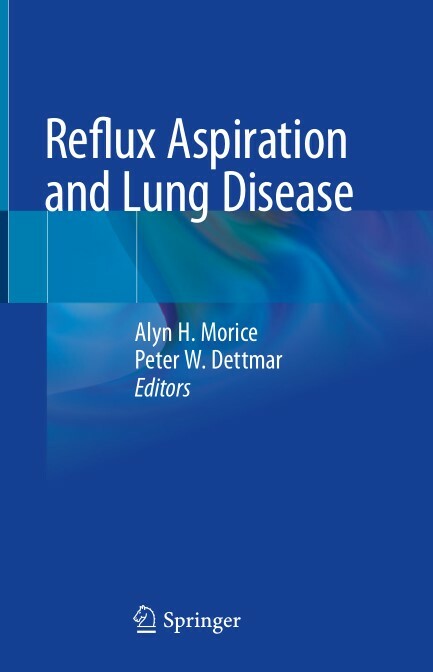 Pharmacological, surgical and behavioural techniques in the prevention and treatment of reflux are discussed in each chapter. Special circumstances, such as eosinophilic inflammation in relation to asthma, cough and eosinophilic bronchitis are also highlighted. 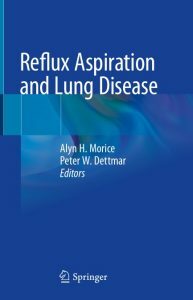 This book brings together the various different strands of research in reflux in relation to airways disease, to provide readers with a board summary of how the different but overlapping areas impacted by reflux affect the respiratory tract.